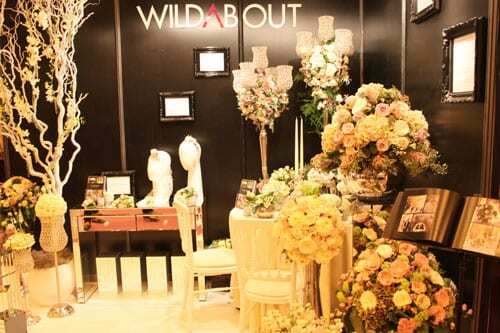 I hope you enjoyed my post yesterday about my recent visit to The National Wedding Show in London. 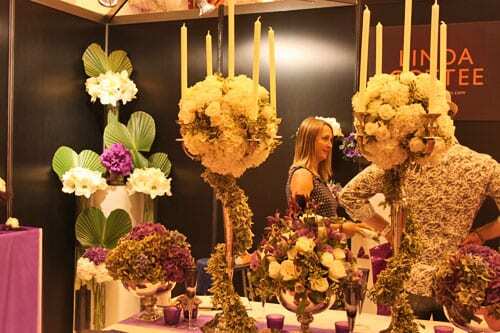 You may remember that I wrote a preview post about the Designer Flower Zone, which was part of the show, a few weeks back? 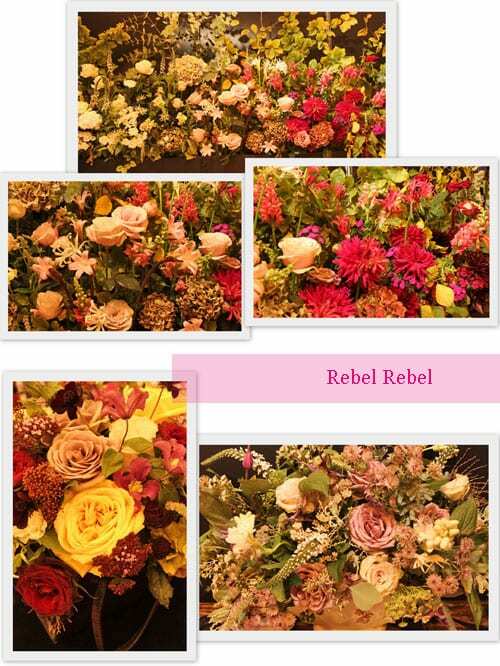 Well, here are photos of the florists’ stands at the actual event, starting off with gorgeous wedding flower arrangements by Rebel Rebel. The top image shows a ‘bank’ of flowers arranged in a graduating spectrum of colours, from the palest baby pink to vibrant cerise, including hydrangeas, dahlias, nerines and roses. 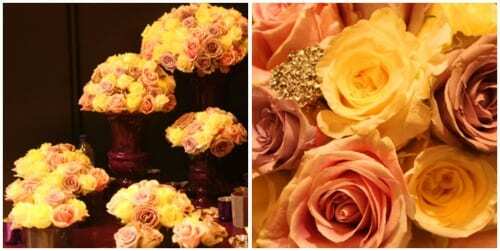 The bottom left image in the collage features a stunning floral arrangement in a handbag – one of their ‘signature’ designs. I love the colour combination of chocolate cosmos together with pinks, reds and yellows. 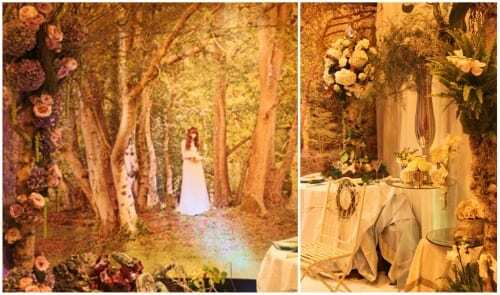 Below are beautiful white and green designs from Mary Jane Vaughan, gorgeous arrangements of pastel-toned roses from Jayne Copperwaite, plus a stunning woodland scene from LK Lily. 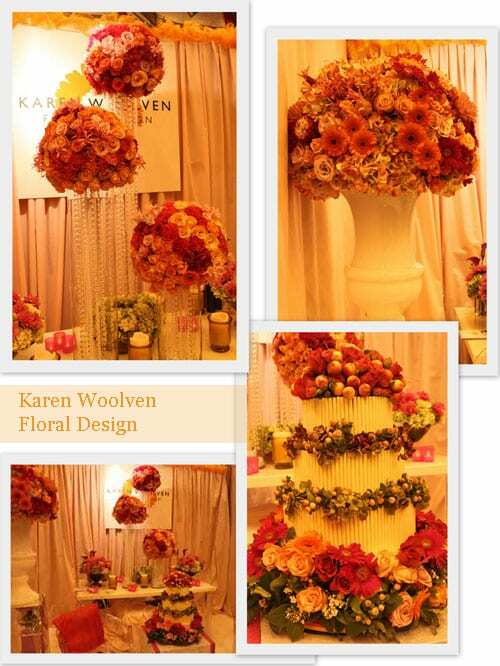 Last, but not least, was Karen Woolven‘s gorgeous display of wedding flower arrangements with a clashing colour scheme of orange and cerise pink. 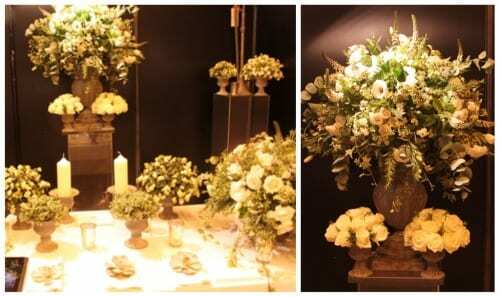 I hope you’ve enjoyed today’s insight into wedding flower designs from some of the UK’s top florists. 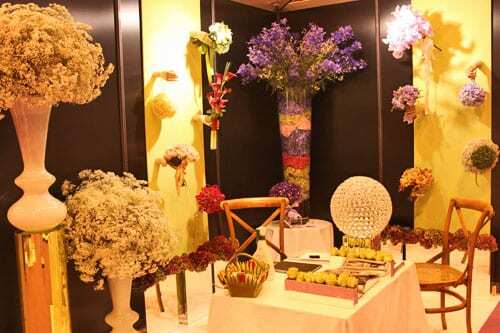 If you’d like to see more of a particular floral designer’s work, simply click on the links in the post. You’re very welcome :-). Pleased to hear that you enjoyed it.